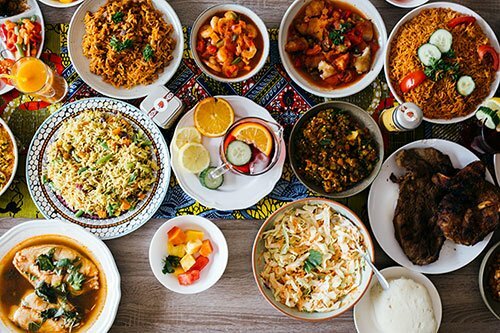 EXPERIENCE THE VIBRANT CUISINE OF WEST AFRICA! 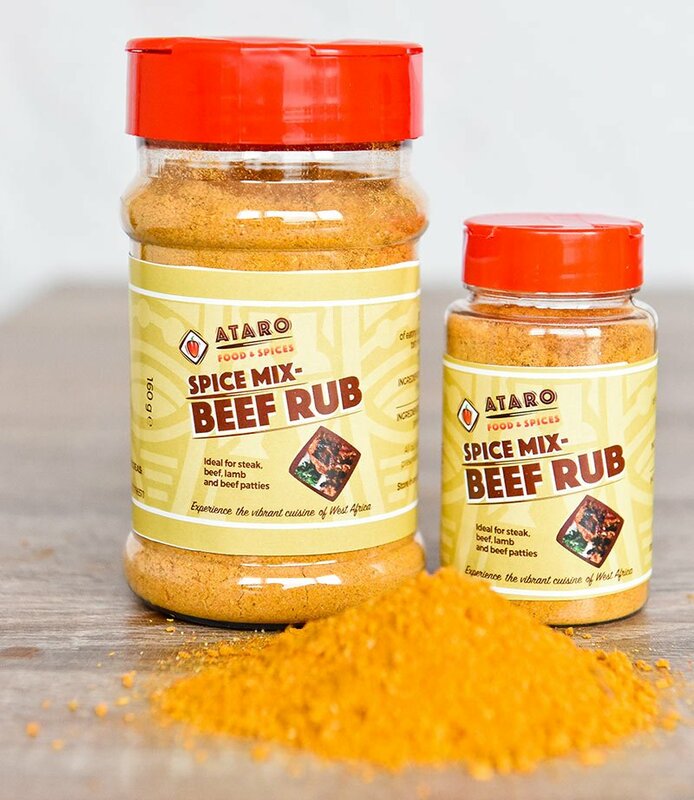 Ataro Foods is a food processing, sourcing and distribution company, serving European and West African markets. 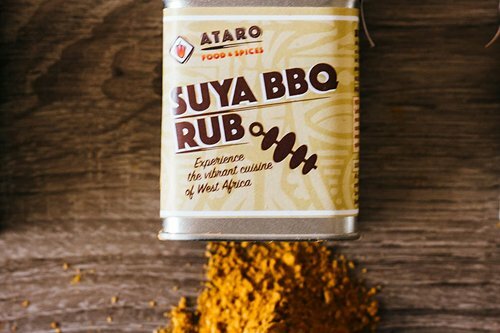 Ataro has been promoting the culture and the cuisine of West Africa, and has built a solid platform for knowledge exchange, processed food products, spices and local raw food materials sourcing for Europe and West Africa. 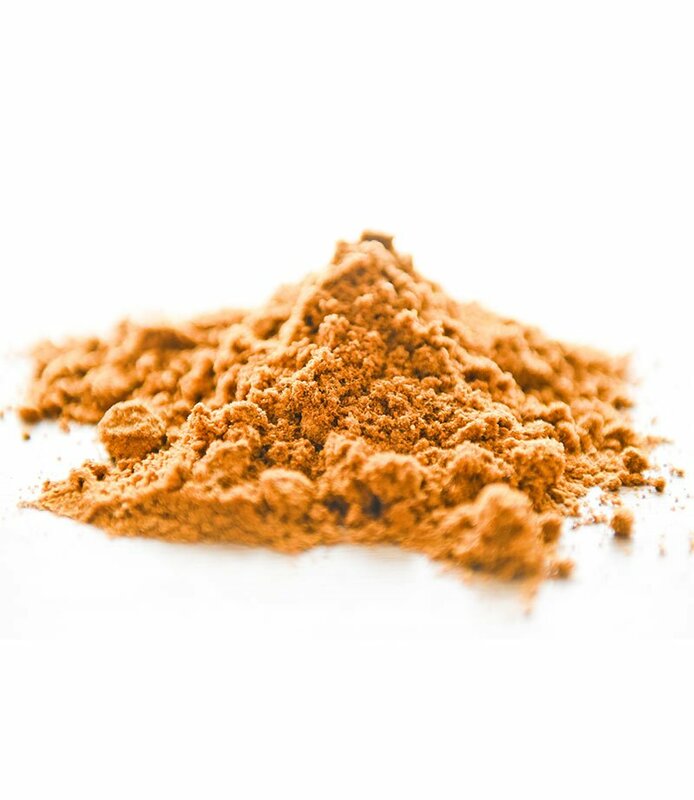 Our major raw material supplies from Nigeria include Nigerian ginger powder, ginger flakes, soybean seeds, corn, paprika, nutmeg and frozen vegetables. We also have fruit pulp and tomato paste, from European to West African markets. 10 dishes that will make you love West African Cuisine - Get it here! We will not share your email with anyone. You can also opt-out if you no longer wish to receive our recipes. We see a world free of racial prejudice and inequality. Therefore, we are creating awareness of the beauty of West African food, culture and people and sharing it with the rest of the world. We envision a time when West African cuisine and food products will be seen on every shelf and kitchen in the Western world. 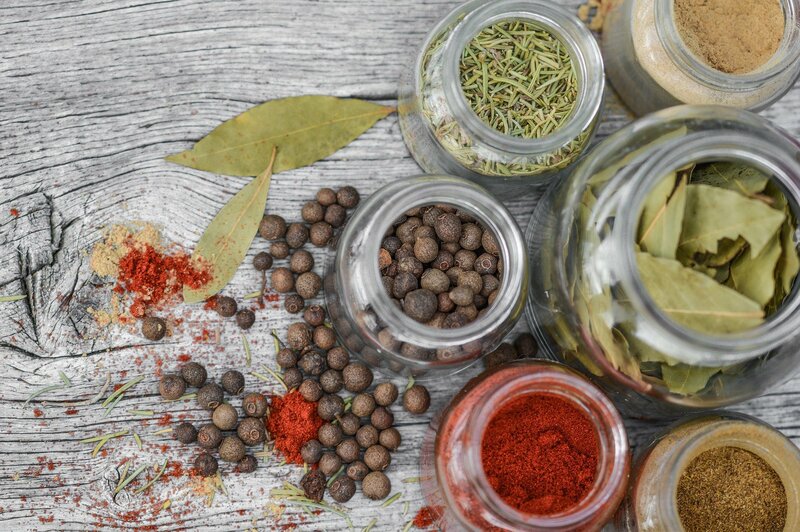 We value the health of our customers, as such, all our spices are free of additives – artificial colors and flavors, MSG and we use low sodium in all our spice mixes. Our mission is to introduce West African cuisine to Europe, while exporting innovative solutions from Europe to support food processors in West Africa. 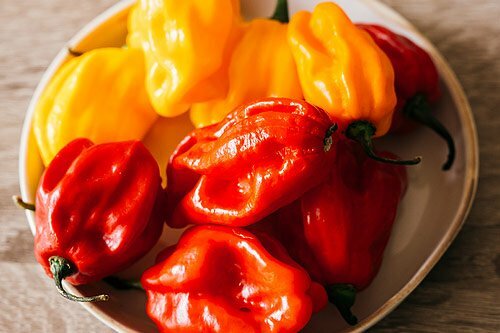 We do this by connecting approved West African food and spice suppliers to international markets. We help Nigerian farmers get access to international markets, and help European companies to gain entry to the large and growing Nigerian market. Here is her story in her words, “I love to share the beauty of my culture and the different herbs and spices that distinguish Nigerian cooking. 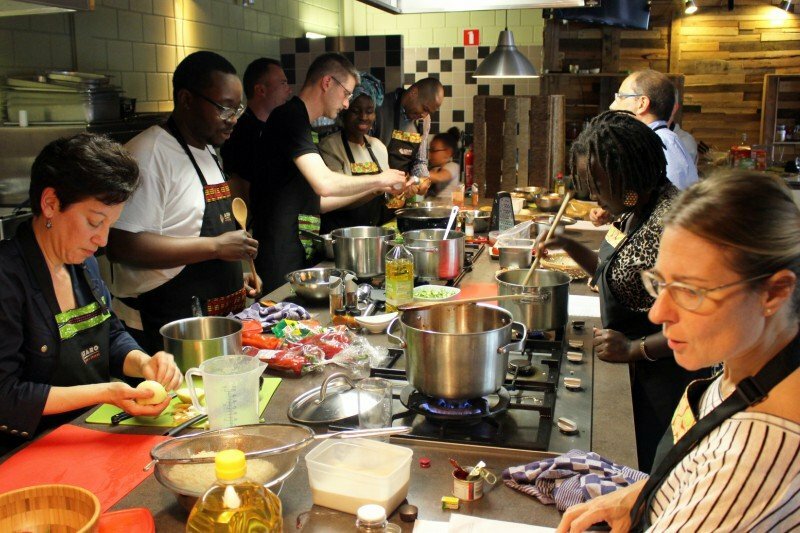 I also organise life transformation workshops that help people to learn cooking, catering skills and personal development skills in an entertaining and happy environment.” Ebere Akadiri founder of Ataro Food and spices has been helping people in the Netherlands, and Europe experience the vibrant cuisine of Nigeria and West Africa. 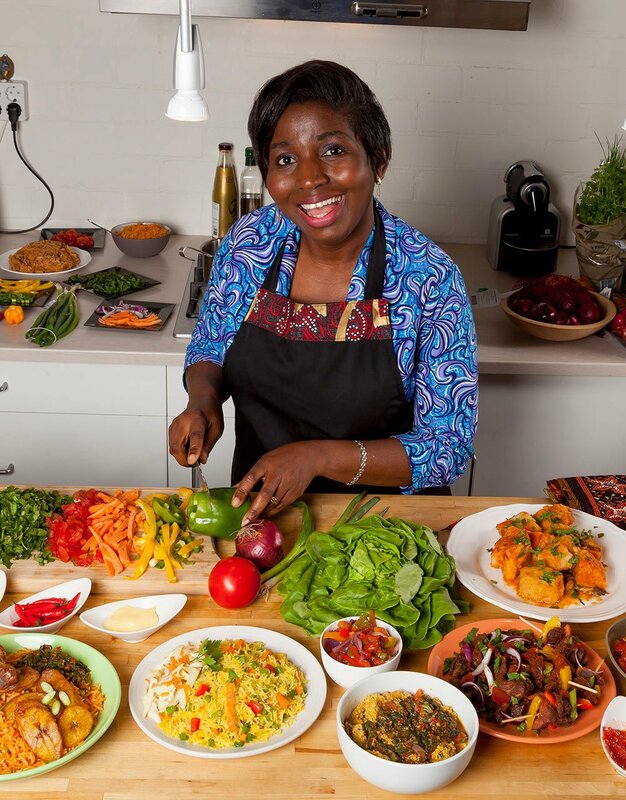 Relocating to the Netherlands in 2013, Ebere took her love of her native cuisine with her and offered cooking classes to introduce West African and Nigerian cuisine to the Netherlands. So far, Ebere has introduced her Nigerian cuisine to many people from different nationalities taking them on a journey to understand the culture of Nigeria, the ingredients and recipes and to cooking several Nigerian dishes with them. This proved so popular that Ebere opened her shop in the center of The Hague offering cooking classes and selling her brand of spices. She has been called “The West African Cuisine Ambassador”. DISCOVER THE WEST AFRICAN CULINARY EXPERIENCE! 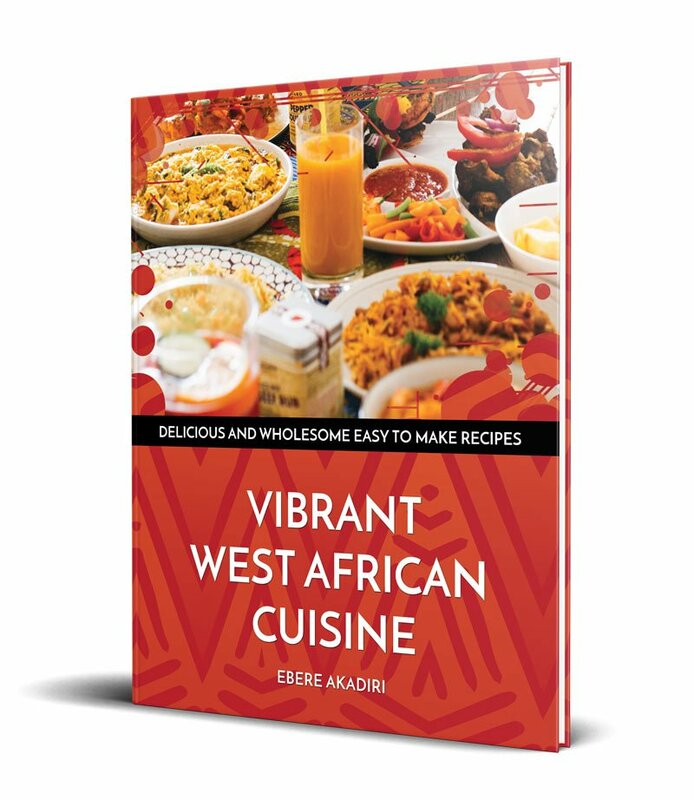 The Vibrant West African Cuisine Cookbook contains 124 pages with over 50 recipes, helpful cultural teachings and a glossary. The recipes include our famous Jollof Rice, Coconut Rice and two other rice dishes as rice is a staple in West Africa. You will see meals made out of cassava, garri and fufu. You will also experience our favourite breakfast dish, pap (ogi) and Akara (bean balls). We have a wide variety of soups and stews, including Egusi, Uha, Vegetable, and different meat Pepper Soups. You will also learn how to make different pottage dishes, including beans and yam pottage that is suitable for vegetarians. Have you ever wondered what Africans eat for dessert? You will learn about that plus all the tropical natural juices you can quickly prepare at home and many more recipes. "Today, I was introduced to an excellent, under-represented cuisine. The flavors are mostly familiar: a bit of India, a bit of New Orleans, and even some flavors evocative of Italy. The combination of the spices and the straightforward style of cooking were a real eye-opener, though. I predict that in 5 years West African will take the place that Thai cuisine now has, both at home and when we eat out." Here you get the renowned West African spice blends that turn any dish into a festival of flavour. 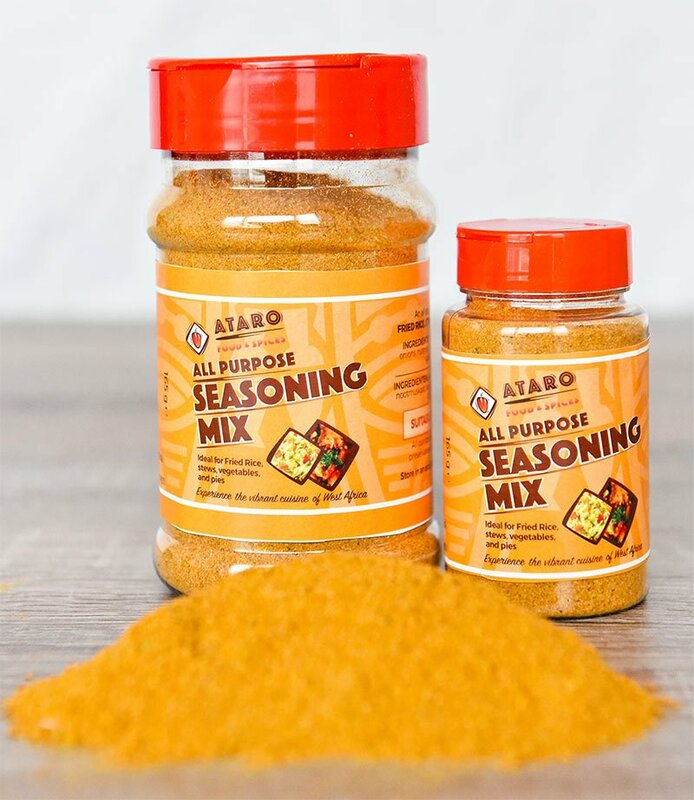 Using our West African Seasoning Mix as a hearty example, you see the remarkable blend of wholesome ingredients that go into every mix. Tasty ingredients like curry mix, paprika, rosemary, onions, nutmeg and much more. 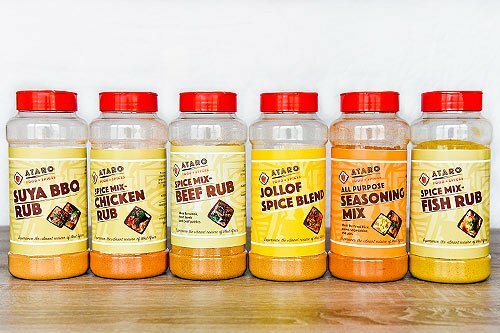 Spice up your meals with this seasoning and experience the vibrant flavours of West Africa. Season to taste. Use to season your stews, rice dishes, pies and vegetables. Ideal for grilling different types of meats. 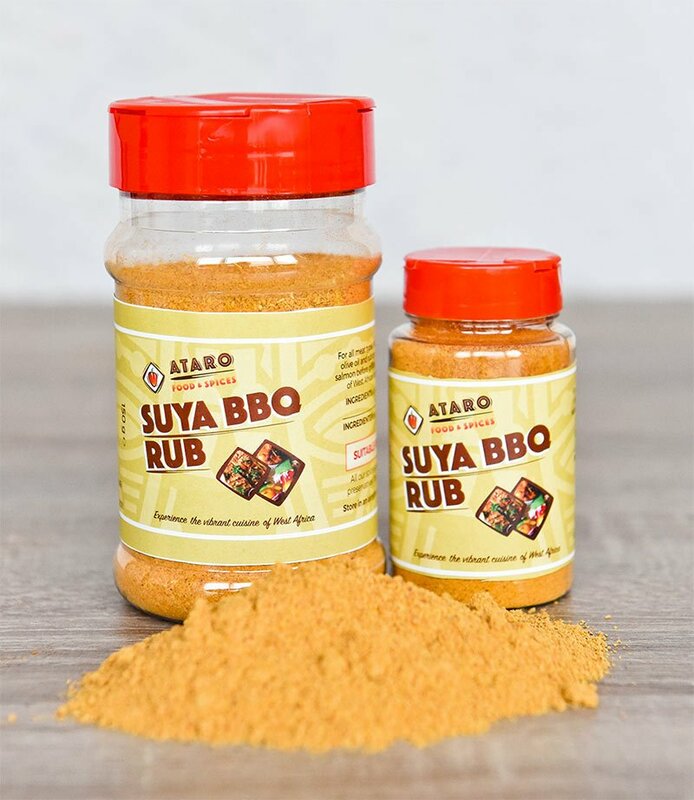 Use this exotic rub mixed with a little olive oil on your chicken, lamb, beef or salmon before grilling and experience the pleasure of West African cooking in your home. Used as a seasoning for fish, beef and lamb. 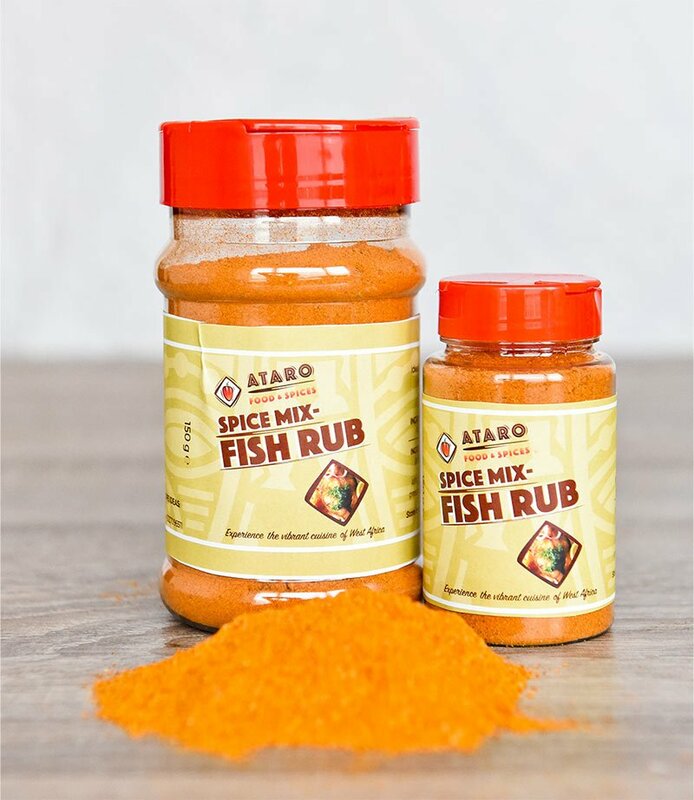 Excellent for Nigerian pepper soup spice and can also be sprinkled on grilled or barbeque chicken for a more fiery feel. The signature dish of West Africa, Jollof Rice originated with the Wollof Community in Senegal but is now widely eaten at homes and parties throughout other West African countries. 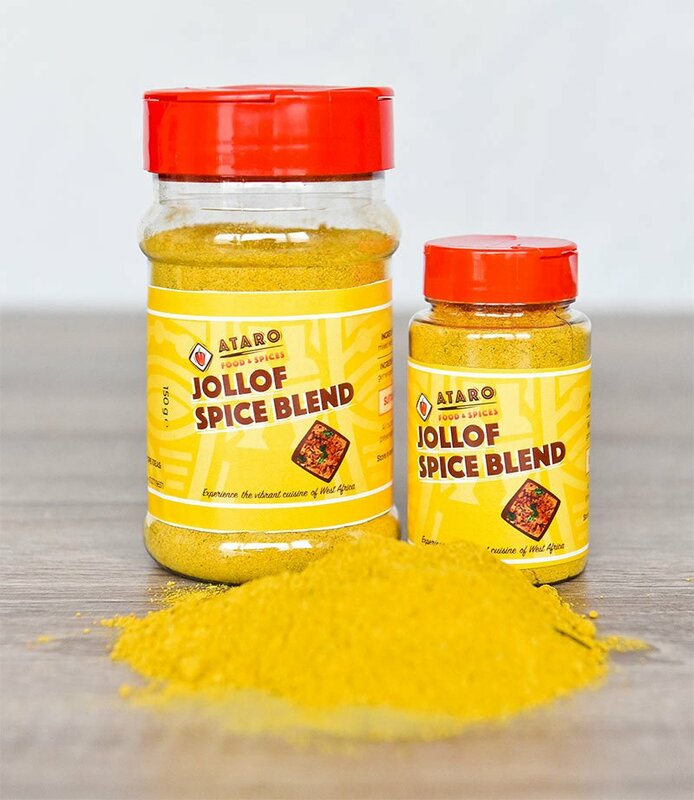 You can download the recipe for making Jollof rice using our Jollof Spice blend. Pepper-Soup is an exotic dish in Nigeria served during important occasions. Try this spice on all your soups. It contains local pepper- soup spices, Nigerian chilli. 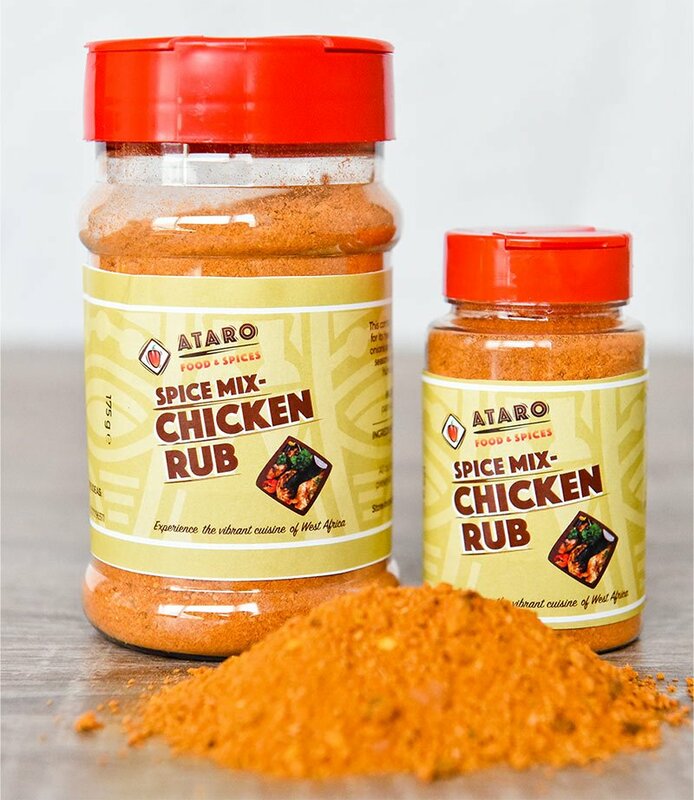 Experience the joy of eating a healthy meal with this flavourful and tasty rub. Ideal for steak, lamb, and ribs. Ideal for all fish. Sprinkle on salmon and drizzle a little olive oil before grilling. Enjoy the flavour! EVERY WEEK WE SHARE VIBRANT NEWS, ARTICLES, BLOGS AND CURRENT TRENDS IN THE WEST AFRICAN FOOD WORLD. Enter your best email address to join our vibrant community. We will not share your email with anyone. You can also opt-out if you no longer wish to receive our recipes. Quality and Speed guaranteed. © 2018 Ataro Marketplace. All rights reserved.